Disclosure / Disclaimer: I received this book, free of charge, from Tommy Nelson, for blog review and giveaway purposes. No other compensation, monetary or in kind, has been received or implied for this post. Nor was I told how to post about it, all opinions are my own. And now for something adorable! To make my tail grow long!" 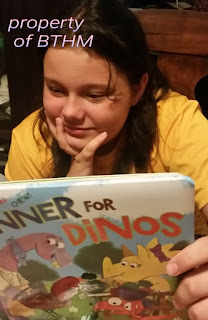 This fun book is aimed at kids ages 4-8, but even my 11 year old laughed her way through the book, and declared it lots of fun for all kids! The book is an easy read for new readers, and lots of fun to read out loud for older kids/parents to younger siblings. Parents will appreciate the simple teachings, and how chores can be fun for dinos too! You just might find your younger children more willing to help afetr reading this fun book! 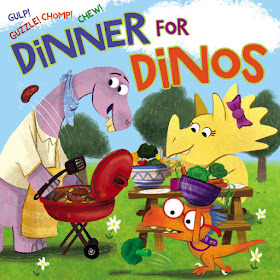 One BTHM reader will win this adorable children's book for their family! Ben Whitehouse is an illustrator born and raised in Birmingham, UK. He currently lives in Chepstow, Wales, with his lively border collie named Sparrow. Ben has recently worked at Aardman Animations as an assistant animator. He has also worked in the animation industry as a character designer, animator, and stop-motion puppet maker before finding his happy feet within the world of illustration.